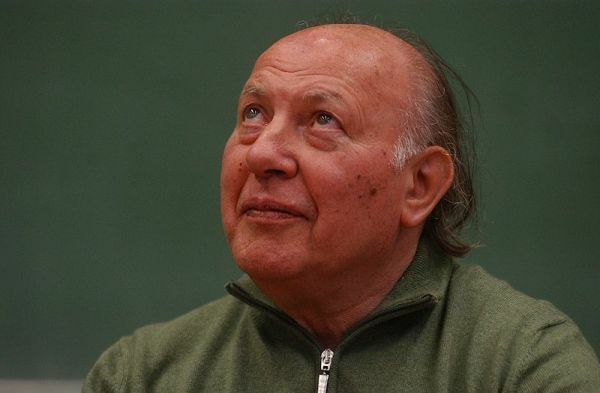 Imre Kertész (Hungarian: [ˈimrɛ ˈkɛrteːs]; born 9 November 1929) is a Hungarian author of Jewish descent, Holocaust concentration camp survivor, and recipient of the 2002 Nobel Prize in Literature, "for writing that upholds the fragile experience of the individual against the barbaric arbitrariness of history". Born in Budapest, Hungary, he resides in Berlin with his wife. During World War II, Kertész was deported at the age of 14 with other Hungarian Jews to the Auschwitz concentration camp, and was later sent to Buchenwald. His best-known work, Fatelessness (Sorstalanság), describes the experience of 15-year-old György (George) Köves in the concentration camps of Auschwitz, Buchenwald and Zeitz. Some have interpreted the book as quasi-autobiographical, but the author disavows a strong biographical connection. In 2005, a film based on the novel, for which he wrote the script, was made in Hungary. Although sharing the same title, the film is more autobiographical than the book: it was released internationally at various dates in 2005 and 2006. Kertész's writings translated into English include Kaddish for a Child Not Born (Kaddis a meg nem született gyermekért) and Liquidation (Felszámolás). Kertész initially found little appreciation for his writing in Hungary and moved to Germany. Kertész started translating German works into Hungarian — such as The Birth of Tragedy by Nietzsche, the plays of Dürrenmatt, Schnitzler and Tankred Dorst, the thoughts of Wittgenstein — and he did not publish another novel until the late 1980s. He continues to write in Hungarian and submits his works to publishers in Hungary. He criticized Steven Spielberg's depiction of the Holocaust in his 1993 film Schindler's List as kitsch, saying: "I regard as kitsch any representation of the Holocaust that is incapable of understanding or unwilling to understand the organic connection between our own deformed mode of life and the very possibility of the Holocaust."